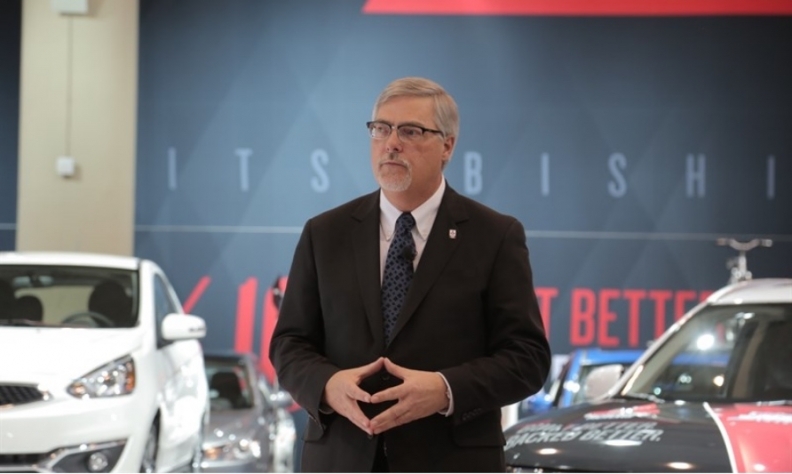 Tony Laframboise is the new head of Mitsubishi Motor Sales of Canada. EDITOR’S NOTE: The number of total vehicles Mitsubishi sold in Canada in 2016 was previously overstated. The automaker sold 22,293 units. It has also sold 984 cars in the first two months of 2017. Canadian-born Tony Laframboise, 62, is the new president of Mitsubishi Motor Sales of Canada, a change that’s part of a bigger executive overhaul at Nissan Motor Corp.
Laframboise will replace Kenichiro Yamamoto, effective April 1. Yamamoto will become division general manager for America and Oceania Division after 3.5 years as head of Mitsubishi Canada. Laframboise is an original employee of the Mitsubishi Canada, joining the company when it was established in 2002. For example, Mitsubishi said in February that a new compact crossover dubbed the Eclipse Cross, is slated to hit the Canadian and U.S. markets in 2018. Mitsubishi sold 22,293 units in Canada in 2016, up 4.3 per cent from the year prior, when it sold 21,384, according to the Automotive News Data Center. But, the automaker is off to a slower start in 2017, having sold 984 cars in the first two months of the year, down 24 per cent from the same time period last year. Total Mitsubishi sales to start 2017 are also down 10.3 per cent, with 2,542 total vehicles sold in the first two months, down from 2,835 in 2016. The change at Mitsubishi Canada is just one of several made Tuesday by Nissan Motor Corp., the most international and diverse of Japan's automakers. The company is increasing its stamp on new alliance partner Mitsubishi Motor Corp. though a new management shuffle that puts more foreigners and a woman into top executive slots. The personnel changes aim to align Mitsubishi's management structure with that of its top shareholder and give it a broader outlook, Mitsubishi CEO Osamu Masuko said in a conference call. Mitsubishi will also bring onboard several Nissan executives. Mitsubishi is overhauling everything from the board room to the factory floor as part of its integration into the Renault-Nissan alliance. It came into the fold last October when Nissan's completed its US $2.29 billion purchase of a controlling stake in the fellow Japanese carmaker. Naoto Okamura, Hans Greimel and Greg Layson contributed to this article.